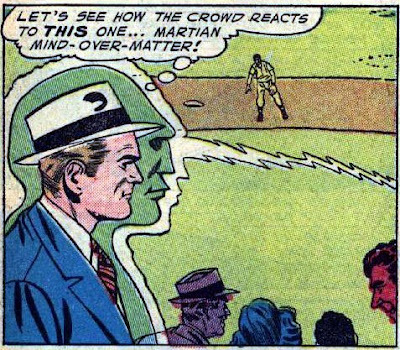 We'll begin with a look at the second Martian Manhunter adventure ever told, from Detective Comics #226. 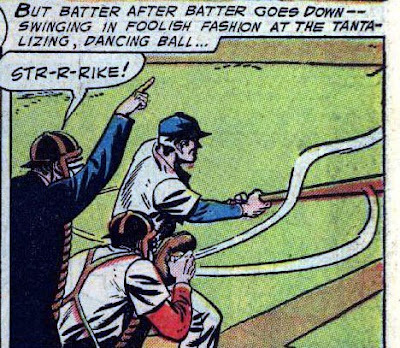 In this story, our hero rigs a baseball game. 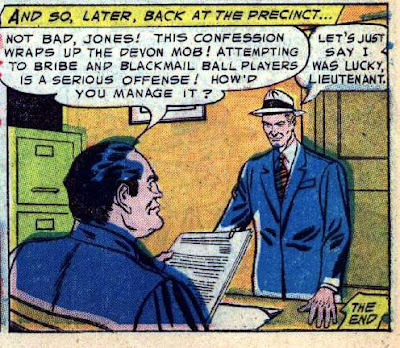 Ah, J'onz...always with the snappy detective banter. 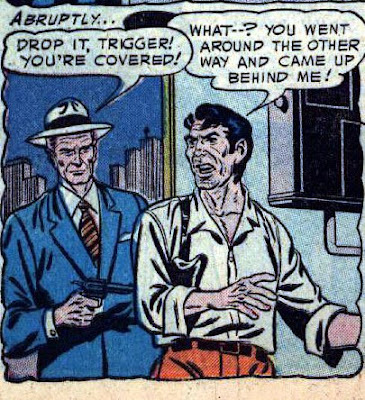 I really like that he'll just blatantly walk through a wall to stop some crooks. And then act like he didn't do that at all. Very articulate. And J'onz calling him Trigger is great. Now on to the baseball part of the story! First of all, I think he'll find with time that this is going to be one of his least unusual assignments. Am I the only one who thinks that this guy's baseball career would be helped by the fact that he learned how to play in prison? I mean, that's a great gimmick! People eat that stuff up! Wait a minute...the ability to peer into the future? Well, I'm glad that power didn't stick around for very long. It would have made this detective game pretty easy for him. So J'onz decides to fix the baseball game. Well, not "fix," really. We'll say "correct." He's correcting the game. To be as he saw it in the future (which is not a power he actually has...so I suspect he's just trying to justify his actions to himself). Molecular Hypnosis: also not a power he has. Ok, so basically what he's doing here is making it REALLY look like this Michaels fellow is throwing the game. The mobsters will be happy...but what about the fans? They are going to notice. 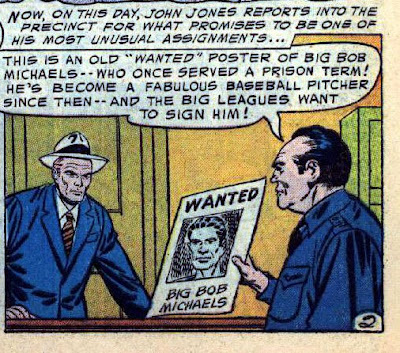 And wouldn't that be more damaging to his career than a criminal past? I love that they are like "What?! He's not losing at all! But let's just wait to see where this is going..."
And J'onz stops them by pushing them over. Awesome. What? Not even a pun? Just "Let's just say I was lucky"? 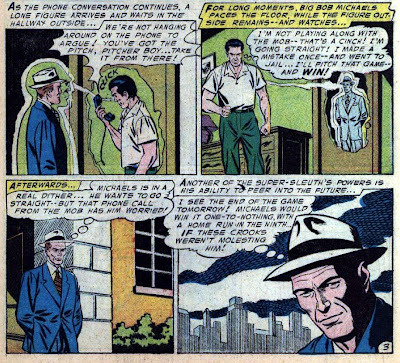 How about "Let's just say the mobsters didn't cover all their bases." Or something. Screw you, Martian Manhunter.